The return of autumn means the return to blogging, not that I ever think to announce an official break. Summer is fun, but tough, and heat makes my family a cranky mess. By the time August rolls ’round we’re all ready for school to begin, but I also I head back to the classroom 20 hours a week. It’s not until the air turns crisp and we have a few weeks of school under our belts that I feel a bit normal, a bit more able to focus on anything for more than ten minutes, able to breathe…. 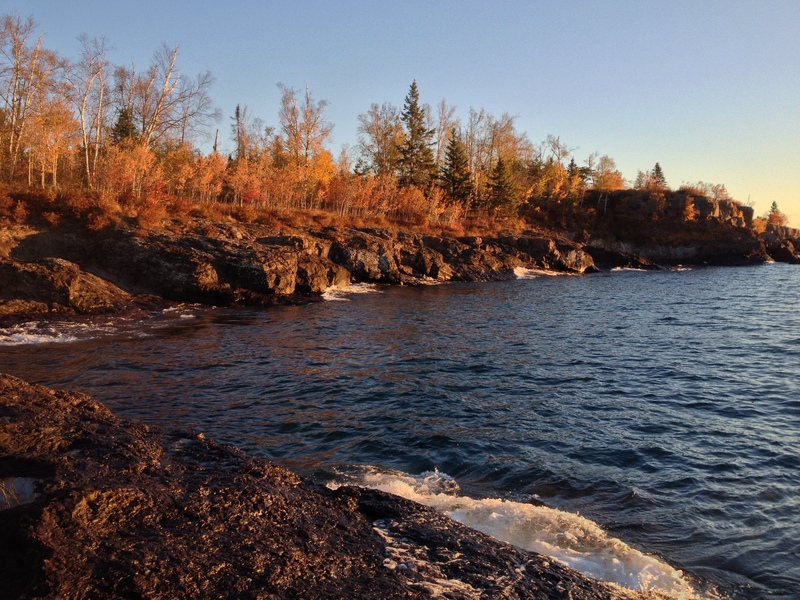 We welcomed Autumn on the North Shore. 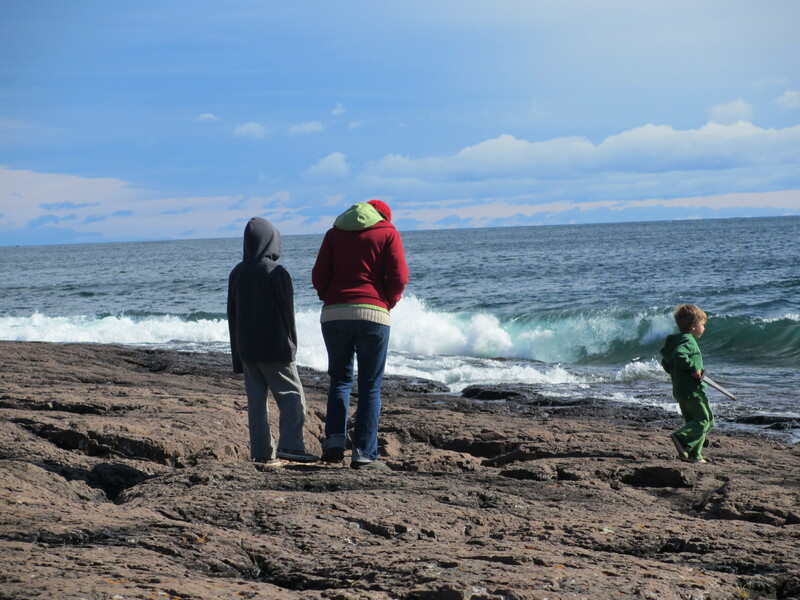 (That would be the arrowhead on the western shores of Lake Superior, for you non Minnesotans…) We camped at Gooseberry Falls and in our typical fashion, arrived in the dark and in the rain. 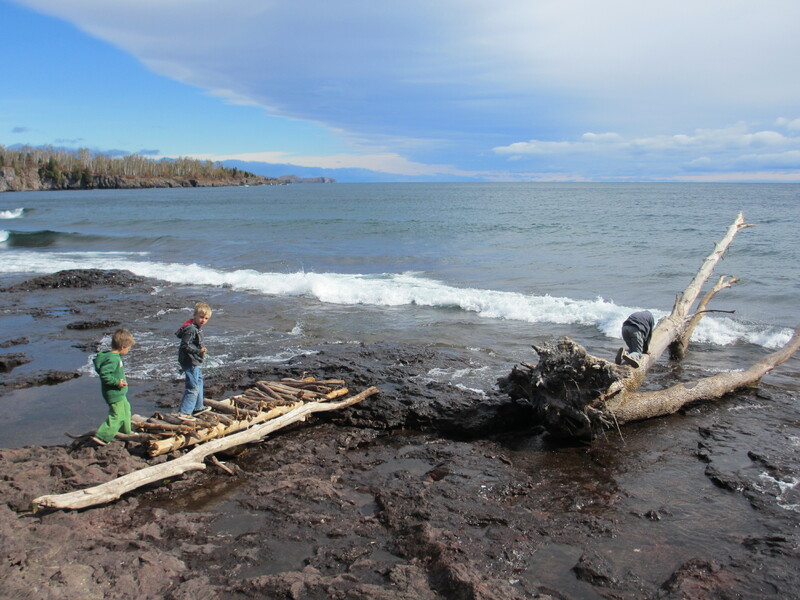 As usual, we plowed on through and awoke to the most beautiful site…Lake Superior in all her glory. 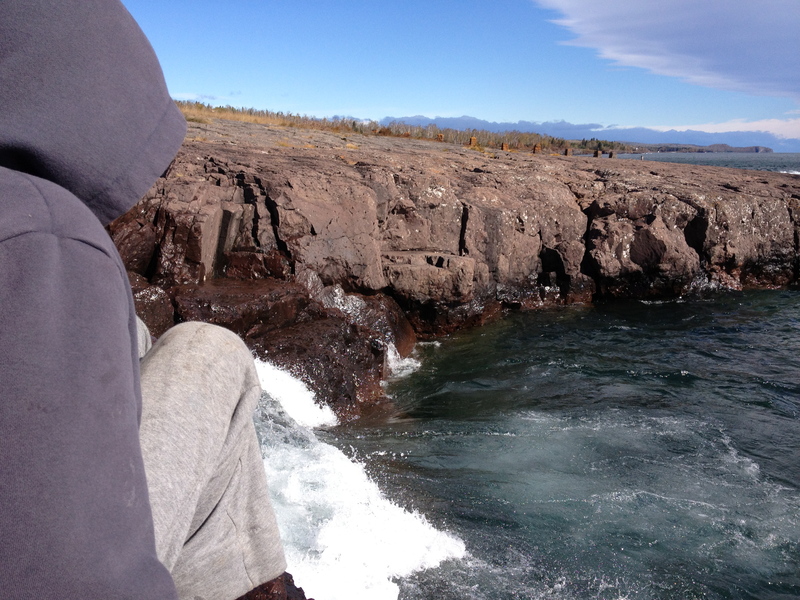 I’m not just saying this because it’s local to me, but Lake Superior is pure and absolute magic. Everyone should see it. 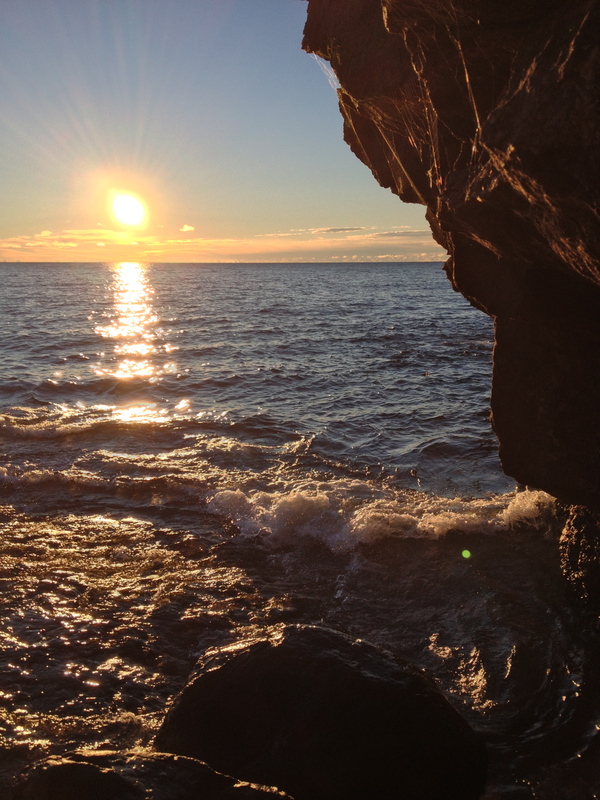 The other Great Lakes are gorgeous. I adore the ocean. 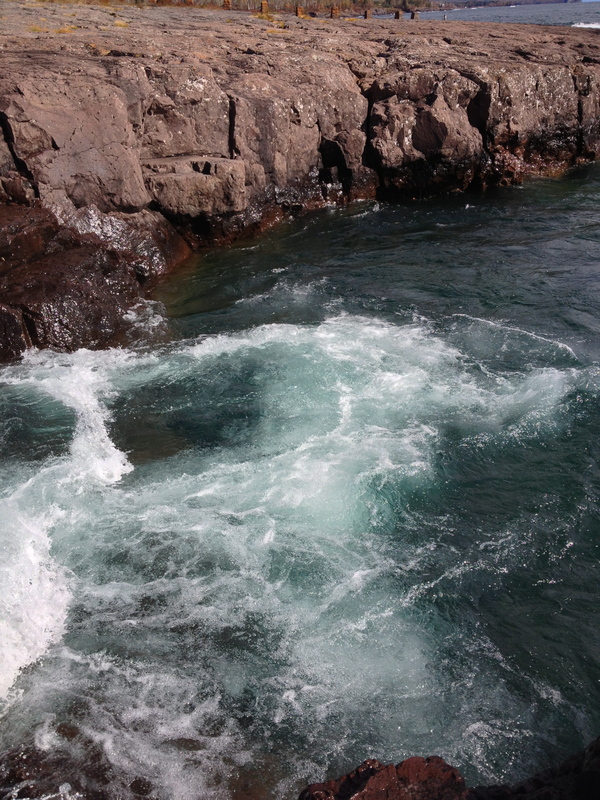 But there is something about this lake….maybe it’s the cold, or the fact that it is so beautiful and so dangerous at the same time. Maybe it’s the rocks rather than sandy beaches. Every time I am there, I feel like there is nothing amiss in my world.